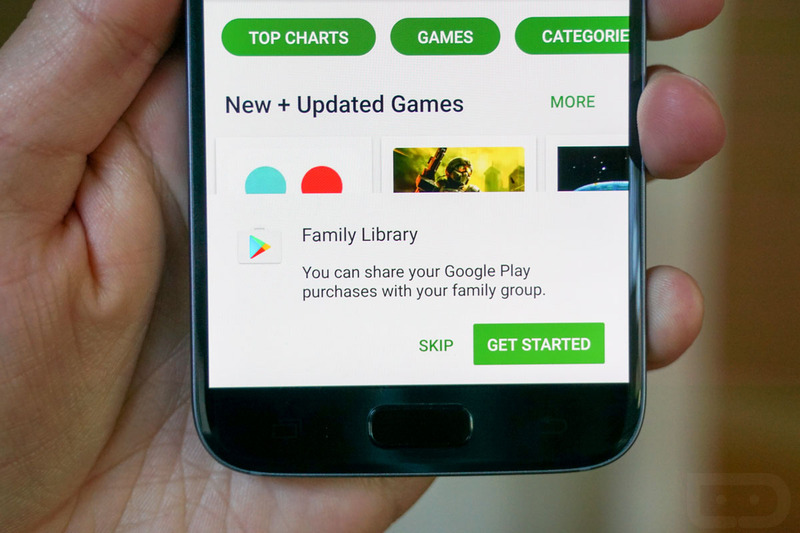 We are still getting used to this whole Google Play Family Library idea, where we get to share purchases on Google Play with up to five family members. It’s an awesome idea and my wife and I are already using it, but as some readers have pointed out, figuring out what exactly can be shared and when isn’t so straight forward in all situations. Below, we wanted to toss out some additional notes on specific items, when they can be shared, which payment methods are required, etc. At some point, I’d imagine this will all just make sense and become second nature, it’s just that it is so new to us that we aren’t there yet. Previous purchases: Google says that any movies or TV shows purchased before the Family Library became a thing can be shared and added to the Library. Again, that’s an any. New purchases: Going forward, with movies and TV shows, you can only share purchased items that have been purchased with the family payment method, a Google Play gift card, or a promo code. In other words, if someone on your account has a separate credit card setup, using it to purchase movies or TV shows won’t allow for sharing to the Library. Bundle purchases: Purchased a bundle of movies? Know that all of the movies in the bundle have to be shared, you can’t pick and choose. It’s either all in or all out. Rentals: Rentals of movies or TV shows simply cannot be shared. In-app purchases: Can’t share ’em. That shouldn’t surprise anyone, but that’s the deal. Previous purchases: We mentioned this in our “how to” post earlier in the week, but your previous app and game purchase availability all revolves around July 2, 2016. If you bought items before that date, it’s up to the developer if they want to make those eligible for the Family Library. If you buy items after, they are all eligible. Purchases: Book publishers seem to be in control here, so all purchases are left up to the publisher as to whether or not they can be shared. Unlike apps and games, where all purchases are sharable, books aren’t the same way. Samples: Free samples, public domain books, personal documents you have uploaded, and books rented all cannot be shared. And that’s that. Hopefully that clears up any questions you had about specific purchase types.